Here for Carlo Rino Spring Escapade 2016 fashion show, a flourish fashionably alongside with it’s 30th Anniversary Celebration at IOI City Mall recently. It’s was magical season of dreams, fashion and many joyous beginning. 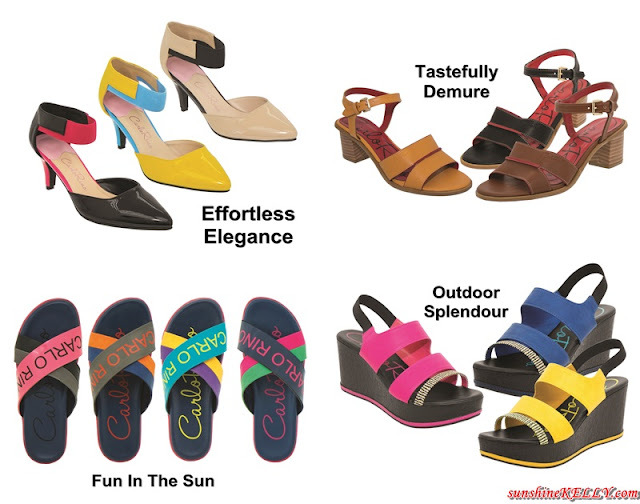 Carlo Rino continues to strive for more by making it all about embracing the quirky, bold and playful with their wide range of handbags and footwear stretching from casual day-outs to formal events. 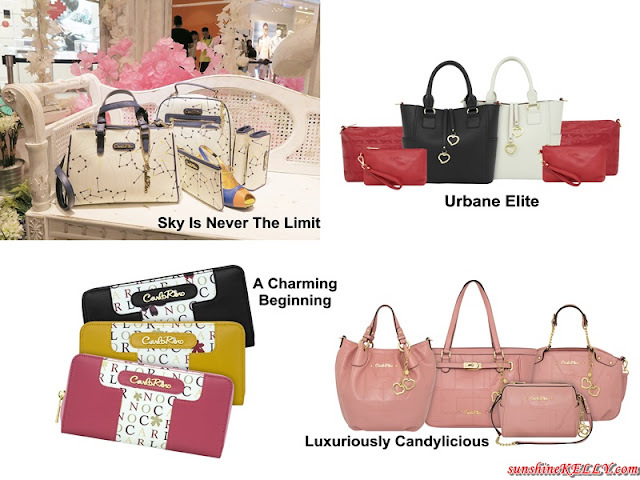 Carlo Rino is a contemporary brand originated from Singapore, Carlo Rino has since earned popularity and global recognition, from countries such as Malaysia, Hong Kong, China, Japan, Vietnam, Brunei Indonesia to Oman, Finland, Saudi Arabia and many more to come in near future. The Sky Is Never The Limit range, this marvellous range can match with any style; preppy, hipster, arty, classy and even chic, without diminishing the entrancing distinctiveness of its design. Light to carry and spacious to store your necessities in, you’re ready to move at the speed of light with this hip range. Urbane Elite range is included with a small but capacious wristlet and an adorable make-up pouch with a convenient complimentary strap to turn it into a lightweight crossbody, both in sizzling red. Best for last, a sleek and professional satchel and make the perfect storage for documents or even a mini laptop. Well, Mad About Monogram range is Carlo Rino’s evergreen monogrammed-print design. Befitting for every occasion with any ensemble, these beautiful masterpieces are also lined with streaks of fiery red trimmings and adorned with polished golden accents for that hint of feminine charm and confidence. A Charming Beginning, these lush Carlo Rino classic monogram-print full-zips feature multiple slots for your cards, spacious sections for your cash and tickets, and a zip compartment especially for your coins. As for the shoes there are the Outdoor Splendour, Effortless Elegance, Tastefully Demure and Fun in The Sun. At Carlo Rino, we prioritise shopping comfort and convenience, inviting ambience, wide selection of product on colours, functionality and durability ideal for the young and trendy lifestyle to fulfil the desire of cosmopolitan ladies who seek the latest fashion trends of colours and style. I don't consider myself a bag lady, but I do appreciate a lovely handbag when I see one. This brand has really nice bags in their line up. All those are so gorgeous... Lovely collection.. Carlo Rino rocks... stunning and beautiful! I am loving the bags and a few of the outfits. While I won't wear them all, a few of them did catch my eye and I could definitely see me wearing them. What a beautiful collection! Those are must haves in my closet but I'm broke haha Carlo Rino is really amazing! Carlo Lino have a pleasant looking collections. They are easy on the eyes and are really fashionable. The shoes/sandals are very simple but I love them all. The bags are so classy and trendy too! What a nice fashion show! I really did like the collections. Gorgeous. Good shoes & bags can completely transform any apparel! Love the colors!! Love the Luxuriously Candylicious and the Urbane Elite collections. Any idea how much is per bag?